Your quality leather furniture wasn’t cheap to buy, so it pays to look after it well. Protect your investment with regular, professional leather furniture cleaning by our expert technicians. Not only do we clean the leather, we condition it too. This keeps it supple and helps prevent unsightly cracking over time. Taking care of your leather can help to prevent any undue wear and keep your upholstery looking great for years to come. Leather furniture in your home provides comfort and beauty and evokes a sense of prestige. With a reputation for great durability and a long life, your leather furniture can be a part of your home furnishings for a lifetime. So don’t let the colour fade or appearance deteriorate beyond repair. Our team in Nottingham are experts in Leather Furniture Cleaning and so are able to offer the best range of repair and restoration services available in the industry. 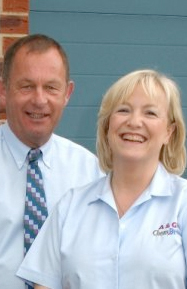 Whilst looking for a company to clean my leather upholstery and carpets a leaflet about A&G Chem-Dry dropped through my letter box. There was nothing to dislike about the service. I am absolutely delighted. My pale cream leather sofa looks like new.